Earliest stages of developing and attaining various components for the initial TP56. Various stages of development for the first TP56 demonstrator. Demonstrator TP56 under various testing conditions. Custom remote controls have now been placed on the demonstrator TP56. Currently nearing completion by November 2015 are the newest TP56's. Come on down for a trial operation! 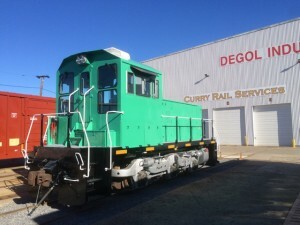 Some nice images from Curry Rail Services's expansive manufacturing and rail yard facilities in Pennsylvania.